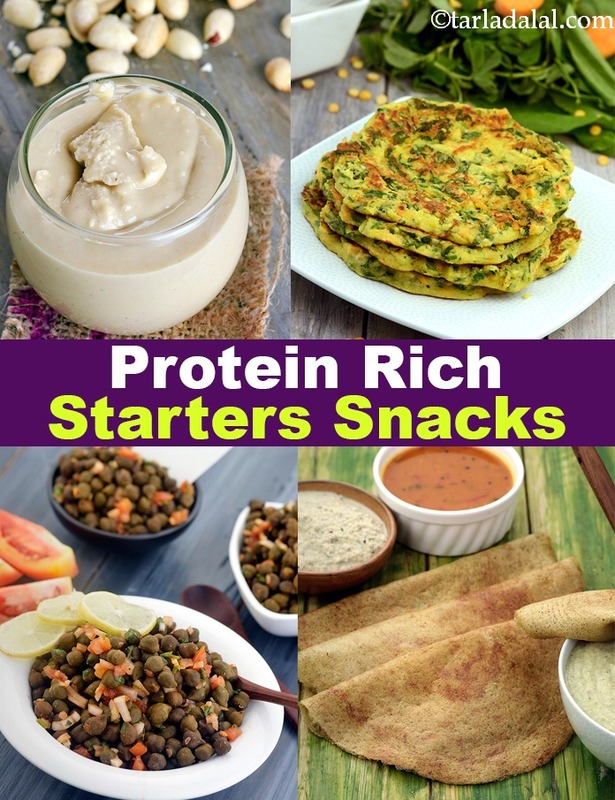 Snacks and Starters, often looked upon as culprits for weight gain, can also be made nutritious. That is what this section portrays. Tikkis loved by one and all, are presented differently in the form of Groundnut Tikkis, Hara Bhara Kebabs, Chana Dal and Cabbage Tikki and more. Try them with a chutney of your choice and you will never be disappointed. On the other hand sprouts, the so-considered boring food, has been tweaked to make delicacies like Methi and Moong Sprouts Wrap, Mixed Sprouts open Toast, Sprouts Misal etc. And if you are a Paneer lover, you too have loads of recipes in this section. Paneer Tikka Kathi Rolls, Moong Dal and Paneer Chila and Vegetable Satay with Peanut Sauce and so on. Just a bit of effort and you will have a nourishing fare on your table to begin your meal that’s healthy for your bones and body both.